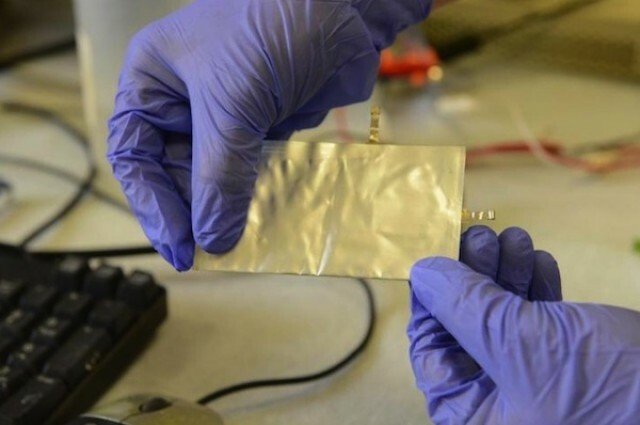 A new rechargeable battery developed in Stanford University changes the rules! 1- The new battery can be fully recharged in just a minute. 2- It is safer. The battery does not catch fire. So, you will be free of lithium-ion battery accidents. 3- It is flexible. You can bend and fold it. The aluminium-ion battery uses a negativeley-charged aluminum anod and a positively charged cathod. However, the required feasibility does not maintaned yet. Scientists work on better cathode materials.